FILE - Kingfisher Airlines Chairman Vijay Mallya speaks to the media during a news conference in Mumbai, Nov. 15, 2011. India's efforts to secure the return of one of its top businessmen who left the country after defaulting on massive bank loans has cast a spotlight on the estimated $120 billion bank debt piled up by the country’s corporate tycoons. The government has vowed to restore the health of its state-owned banks amid warnings that the mountain of debt is a threat to India’s economic recovery. Vijay Mallya, the flamboyant owner of a liquor business, a Formula One racing team and a defunct airline, quietly left for London two months ago after pressure mounted on him to repay $1.4 billion in debt to banks. While Mallya has become the face of huge corporate defaults, scores of other debtors, including India’s top 10 companies, also owe billions of dollars, mostly to state-owned banks. The debts piled up as companies borrowed aggressively to fund ambitious expansion plans during a decade of high growth, but were hit by a slump during the subsequent economic downturn. Many infrastructure projects stalled. Finance Minister Arun Jaitley told parliament Wednesday reviving the competitiveness of the private sector was important for the economy. “The private sector had overstressed itself. Hopefully if some of those sectors improve, steel improves, sugar, infrastructure, power, then the balance sheet of these sectors correspondingly will have an impact on the banks itself,” he told lawmakers. The staggering pile of bad debt has prompted Prime Minister Narendra Modi to make repairing the balance sheets of banks his top priority, while Central Bank Governor Raghuram Rajan has called for “deep surgery" to fix the problem. He has given banks a March 2017 deadline to balance their books. The concern is that the bad debt is choking the financial system and threatening India’s efforts to accelerate its economy. As banks press companies to pay up, many indebted companies have begun selling off assets. The “For Sale” sign has gone on airports, roads, ports, steel and cement plants, corporate parks, coal mines, oil blocks, highways, telecommunication towers, hotels and private jets. 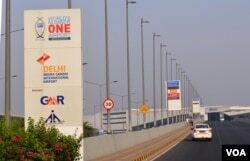 Last month, airport and road builder GMR sold half its a stake in a highway project in Karnataka. Another infrastructure company, GVK, has sold a one-third stake in the Bangalore airport and is also looking to sell road projects. The biggest reform expected to hasten debt recoveries is a new bankruptcy law parliament passed on Wednesday. It replaces convoluted procedures governed by over a dozen laws that were heavily tilted towards company owners and made it almost impossible to recover money. It also sets a six-month deadline to decide the fate of a company that defaults. As lawmakers passed the bill, they repeatedly pointed to Vijay Mallya’s example. Although his Kingfisher airline failed four years ago, creditor banks could seize its Mumbai headquarters only this year. The company's shares are now worthless. Such massive unpaid loans have also triggered accusations that state-owned banks often handed out loans to politically connected businessmen like Mallya under political pressure. Economist N.R. 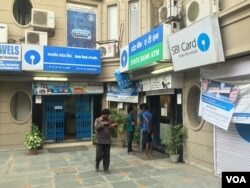 Bhanumurthy at the National Institute of Public Finance and Policy in New Delhi said the new law will ensure stricter scrutiny by banks. “This law would help in creating some kind of ecosystem where you will have much better information about the project proposal as well as the individual in terms of their credit worthiness. Right now the due diligence that people are doing is more of an eye wash,” he admitted. The sour bank loans do not just pose a risk to economic recovery. As revelations of their scale and size become public for the first time, the unpaid debt of corporate giants like Mallya have triggered angry allegations of banks going easy on well-connected businessmen, and questions about why taxpayer money is being used to prop up struggling state-owned banks. Pressure is growing on the government to ensure that Mallya, whose extravagant lifestyle earned him the title “The King of Good Times,” is brought back from London. Britain has turned down India’s initial request for his deportation saying he entered the country on a valid passport, but the government says it will press for his extradition. Many warn that even if that happens, it will not produce any quick results. “If you want to recover [money] from people like Vijay Mallya, I think you may have to wait for a long, long time” Bhanumurthy rued.